The GE C44-9W is a 4,400 hp (3,281 kW) diesel-electric locomotive built by GE Transportation Systems of Erie, Pennsylvania. Keeping in tradition with GE's locomotive series nicknames beginning with the "Dash 7" of the 1970s, the C44-9W was dubbed the Dash 9 upon its debut in 1993. The design has since proven popular with North American railroads. 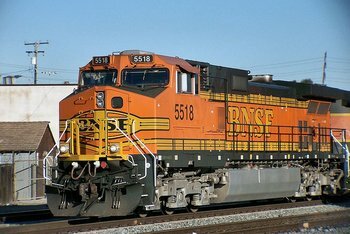 Because of more stringent emissions requirements that came into effect in the United Stateson January 1, 2005, the Dash 9-44CW has been replaced in production by the GE ES44DC.